Let Us Cater Your Next Event in Style! Special Occasions – Weddings, Anniversaries, Birthdays, etc. 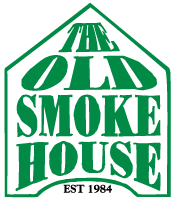 When you require impeccable service and personalized attention to detail to ensure your special event is met with a resounding success, look no further than The Old Smoke House. We use the freshest ingredients from our farm combined with exquisite presentations and mouthwatering combinations to create delectable dishes suitable for any catered event’s venue or budget. Entrust our experienced staff to present you with the ideal catered event that is sure to be extra memorable for those in attendance.